Indian Street Food – thinking of the colourful food items you find on street side shops? Some look very delicious, right? 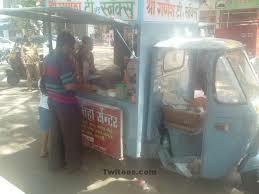 In India, street food is also diverse as our country is. 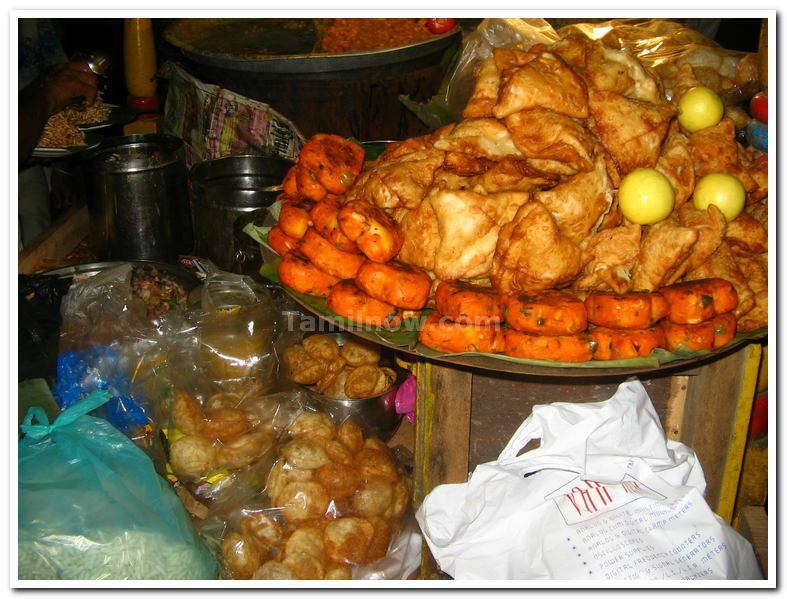 Different regions have a vast variety of food on offer in the streets. On a recent trip to Mumbai, we had bhel puri and vada pav from a street shop vendor at Nariman Point, the busy business area of our Finance capital. People from all the near by offices were seen having food in these shops lined on the foot path. The return trip to Chennai was from Pune. So we traveled to Pune. and on the way had to stop at a street shop for some snacks. Was delighted that we stopped by. The food was delicious. The vendors were happy to pose for a photograph too. The tea they served was awesome. Still the taste lingers on my tongue. Coming down to our own Chennai, there is a lot on offer on the streets. The north has come down here. We will get Pav Bhajji, Bhel Puri, Pani Puri, Papdi Chat, Mixed Chat, Churmur Chat, Anarkali Chat, Channa Samosa, Chola Poori and what not. Are you going to Marina beach or Beseant Nagar Beach? Again you will get hot samosas, Cutlets, Chat items, Fish fry, Ground nut in cones, Corn.. Had butter masala sweet cones from VGP Universal Kingdom. Really tasty. Had them along with cookies and coffee. Another delicacy, raw mangoes, sprinkled with chilly powder and salt, available in most of the tourist places in South India. If you are traveling on NH 45 from Chennai to South Tamilnadu, you will find Kumbakonam Degree Coffee. 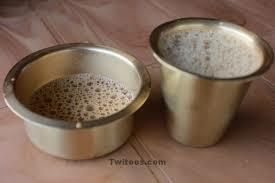 There are a lot of shops on either side of the NH 45 which offer Original Kumbakonam Coffee in brass tumblers. They will be really hot and tasty too. Never miss it. I know I haven’t touched so many of the other street food delicacies, but have not tasted them yet. Hope to travel around India to have my taste buds satisfied with our mouth watering foods.